March 22 (UPI) — The concentration of carbon dioxide in Earth’s atmosphere increased 2.87 parts per million at NOAA’s Mauna Loa Observatory in 2018, the fourth largest increase in the agency’s 60 years of record-keeping. On Jan. 1, 2018, the the average concentration of atmospheric CO2 measured 407.05 parts per million. Twelve months later, the average measured 409.92 parts per million. Three of the four highest annual increases on record have occurred during the last four years. The record belongs to 2016, the year atmospheric CO2 concentrations jumped 3.01 parts per million. Second place goes to 2015, which featured an increase of 2.98 parts per million. Last year’s increase ranks just behind 1998’s growth of 2.93 parts per million. Last year didn’t pass without an ominous CO2 record, however. Last April, for the first time, CO2 concentration averaged above the 410 parts per million mark for an entire month. Carbon dioxide is a greenhouse gas and the main cause of global warming. Climate scientists agree that human sources of CO2 are to blame for rising concentration of the greenhouse gas in the atmosphere. After several years of plateauing U.S. global carbon emissions, the United States witnessed a return to CO2 emissions growth in 2018. According to data collected by the independent research firm the Rhodium Group, carbon emissions increased 3.4 percent in 2018. After a worldwide increase of 2.7 percent, according to Global Carbon Project, global carbon emissions reached an all-time high in 2018. 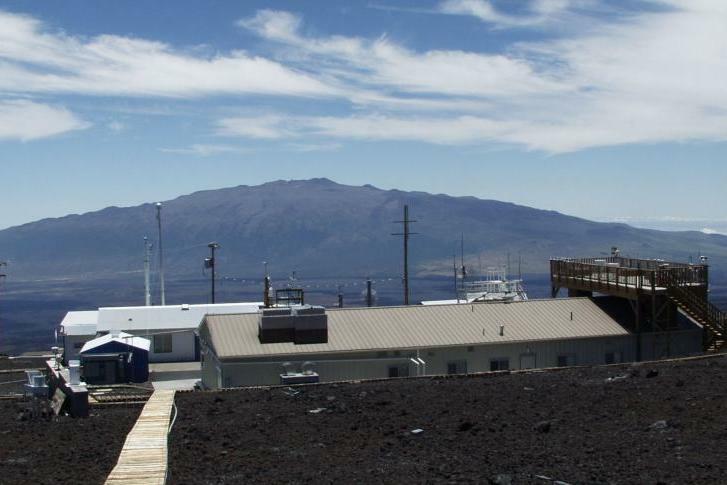 NOAA scientists analyze atmosphere samples daily at several monitoring sites, but researchers have been keeping records at Mauna Loa Observatory the longest.